This weekend, Rising Stars FC from Akure will be playing their first ever game in the Nigeira Premier League. Before the new season, a lot has been written about most teams in the league but as far as I can tell, no player of Rising Stars FC has gotten any attention in local media. According to Completesportsnigeria, Rising Stars FC has retained 23 players from the team that won promotion. Apparently, the club has recruited 12 additional players. As far as I know, the star of the team is a striker called Yakubu Azeez Olarenwaju (born 26.02.1991). Olarenwaju is a classical centre forward, 186 centimeters and 80 kilos. Apparently, Olarenwaju was top scorer for Rising Stars FC last season. He is described as a strong, hard-working player with great speed and and power enough to hold up the ball. Last year, Olarenwaju was part of the Nigeria U-23 national football team. I know that Olarenwaju has caught the eye of foreign clubs already. The goalkeeper of the current team is apparently a player called Sheun Betiku. Gold Busayo, Abiodun Kehinde and Allenjay Fadoju, an attacker, are other important players. I am pretty sure that Olarenwaju, Betiku, Busayo, Kehinde and Fadoju will feature for Rising Stars FC this weekend. Another interesting player is Solomon Azuka Enudi, an athletic striker. Enudi was training with the Nigeria U-17 national football team in 2009 but was apparently dropped during the season based on a MRI test, suggesting he was older then 17 years old. In 2009-2010, Enudi was playing for CD Atlético Baleares in Spain, apparently primarily the B team. I know that Enudi played for Rising Stars FC in 2010-2011 but I am not sure that he will play for the club during the Nigeria Premier League 2012. Left-winger Nzube Anaezemba and central defender Seun Olulayo were some of the stars of the team in 2010-2011. In December 2011, MTN Football reported that the petit dribbler Anaezemba and strongman Olulayo was heading for Rangers International FC. At the time of writing, I am not sure whether these transfers ever took place. The picture is of Anaezemba (in orange shirt) and is taken from MTN Football. Other players that featured for Rising Stars FC last season were Tunde Adeniji, Motilola Abimbola Faloye, David Ameh Agada and Joel Lanre Micheal. 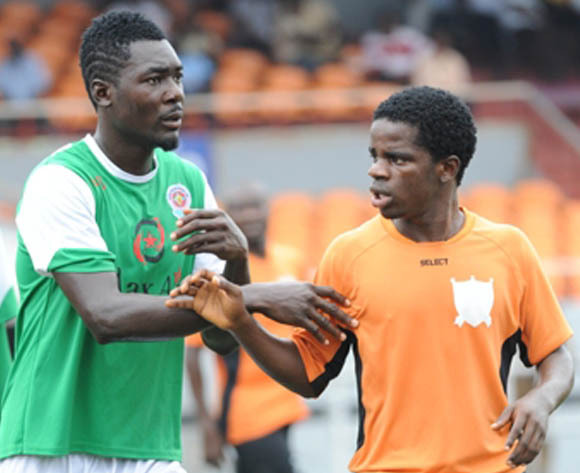 I am not sure whether these players are on the list of retained players for the Nigeria Premier League 2012. Apparently, Rising Stars FC was originally a farmer club to the major team in Akure, Sunshine Stars FC. Last season, Bukola Babes FC from Ilorin, the “baby brother” of Ilorin’s top side Kwara United FC, had a wonderful time in the Nigeria Premier League, using several young, unknown players that made a huge impression. Hopefully, the players of Rising Stars FC will be inspired by this fairytale story and perform well in their first season at top level.